this sew a long.. I have 2 summer tops now.. It looks classic, and so nice for summer! Great job. Thank you Dianna. 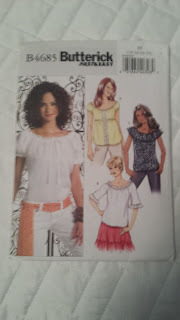 It got up to 80 degrees here today.. so, I think the weather is getting ready for spring tops.Yea.. 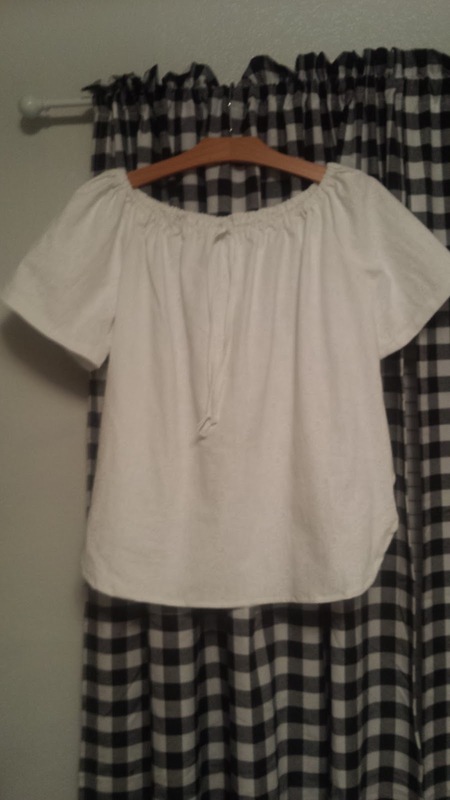 It's very cute and you cannot go wrong with a cute white top! Thank you so much.. Love white tops..
Looks beautiful and very comfy. Thank you... It got up to 80 degrees today.. SO we are finally getting warm weather.. So these comfortable tops will be nice to have.. Thank you Deedy.. I too, needed the white top.. Super comfortable and cool..
Beautiful top and it looks so comfortable. We are finally warming up here and that is such a pretty Summer top! Oh, how pretty! You do such a wonderful job! Your clothes look so professional and perfect! God bless you, sweet friend. Praying for you and your sweet mama. Thank you Cheryl.. I will indeed enjoy the white top.. Thank you for the prayers.. Always appreciate them.. God bless you too. Your top looks beautiful, Judy. It'll make a great summer top. Happy sewing! Thank you.. Happy sewing to you too. I love this flirty top! Thank you Mary.. Love it too.. Have already worn it.. super comfortable. Thank you Laura. It is really comfortable. Praying for you. I love your top, and making it from stretch knit makes it guaranteed to be comfortable. 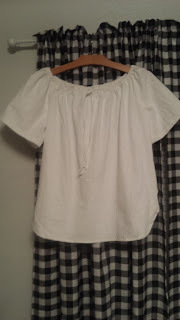 I have made so many tops like that over the years, but none lately. I have several children that declared that a very desire style over the years. I have also make countless nightgowns the same way, only longer. The raglan sleeves make it so easy to do. 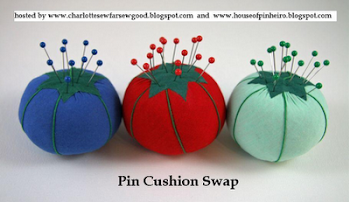 I love seeing your sewing projects and I'm glad you are back to sharing them. Thank you Becky... I too, have made lots of these tops.. SO easy and comfortable.. That is a good idea to make gowns from this pattern..
Looks nice. How are you feeling? Thank you Danielle. Feeling much better. thanks.. Hope all is going well, with the upcoming marriage.